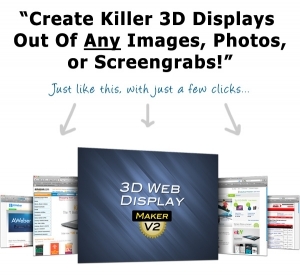 With 3D Web Display Maker you can create killer looking web displays for all your images, photos and screen grabs... just like the "coverflow" effect on the iPhone. This is a great way to show off your websites and products to others. And the best part is, you can create this nice look with just a few clicks using the new 3D Web Display templates.